The Sendzimir EN 10346 zinc-coated steel scaffold conforms to the norm EN NF 130031-1 and the EUROCODES for construction works. The coated tarp has a 10-year warranty. With a production capacity of 3,000,000 m² we can cut costs and let our clients benefit from it. 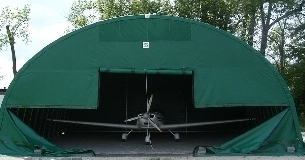 We can build shelters on any soil up to a width of 12m without foundation and up to 25m wide on a wall without anchorage. The SHELTERALL is a modular metal-textile construction and easy to assemble. It meets the storage and shelter needs of professionals in the industry, construction, communities and agriculture. Its optimized design provides a lower-cost storage solution. SHELTERALL® benefits from both the technology and 50 years’ experience of the Richel group, european leader in the greenhouse production with plastic cover. With more than 10,000 storage buildings in 15 years, Richel Group has become the European leader in metal-textile tunnel. 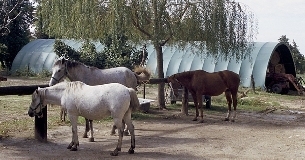 Numerous applications: Shelter and agricultural hangar, feed storage, storage shed, cattle breeding tunnel, sheep shelter, bulk storage, industrial storage, storage of sand and salt, grain flat storage, covering of horse riding schools and tennis courts , wintering boats or caravans, site shelter. TO SHELTER ANYTHING WITHOUT SPENDING EVERYTHING ! 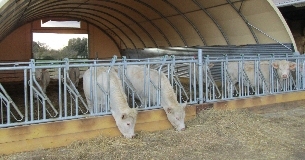 There are many applications: storage of forage, livestock tunnel, storage of wood chips, machinery hangar, grain flat storage. 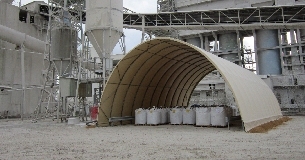 Simple, standardized and optimized solutions for bulk storage, recycled products or to shelter machinery and material. 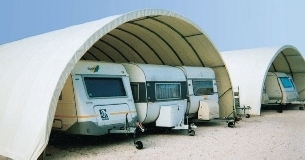 The SHELTERALL also caters to niche needs such as sport field covers, equestrian rides or the wintering of boats and caravans. 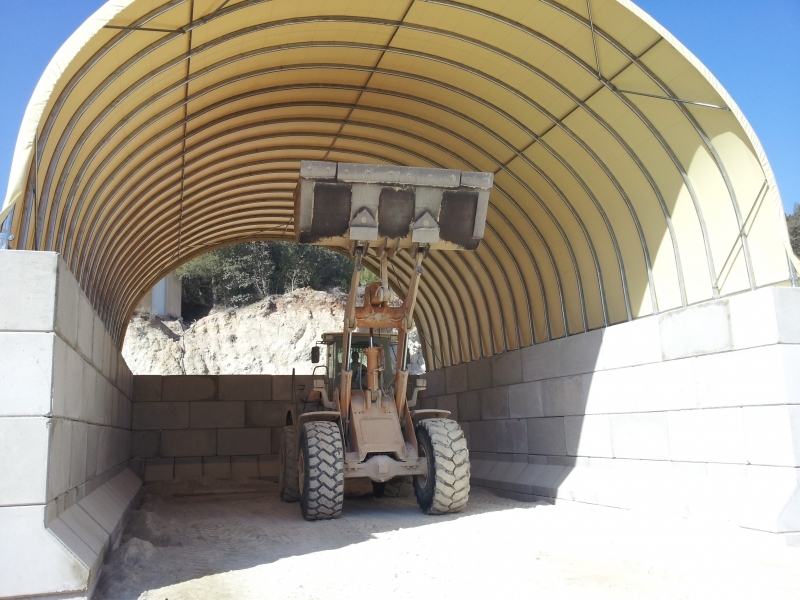 Shelterall suits all your storage and shelter needs: feed storage, livestock tunnel, sheep shelter, bulk storage, industrial storage, storage of sand, salt shed, agricultural hangar, horse riding school, flat storage , wintering boats.